Bethel Revival choir showing the way? For long, music critics’ and industry players have been calling for an all inclusive music awards. The prominent music awards scheme in Ghana, The Vodafone Ghana music awards VGMA, (not belittling the other equally important award schemes) has by far neglected choral and traditional music in its’ rewarding scheme but as I was made to understand, it’s a work in progress. Choirs have had poor nomination and participation in the VGMA due to the lack of categories that fit their type of music. Apparently, in the 2017 awards, Grace Choral international made an unexpected appearance at the awards. This was one of those important moments where Ghanaian choral music stepped outside its community to engage the wider listening public. Lately, not much has been heard about one of the pioneers and biggest choral group the Winneba Youth Choir but their plethora of weight is unarguable. In recent years, the renaissance of choirs is phenomenal. Talk about the Harmonious choral, One Voice choir etc. Serving music lovers with awesome performances within and at international levels. Suddenly, the Bethel Revival Choir. They are making great strides and achieving unbelievable results. 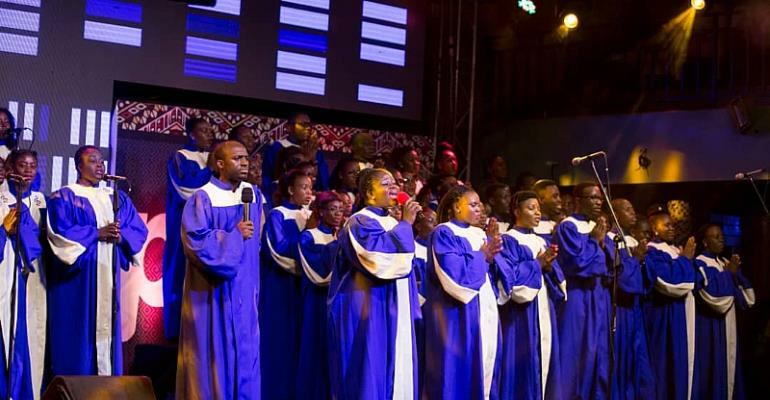 The Bethel Revival Choir, is a contemporary gospel choir under the Global evangelical Church (GEC), Kotobabi in Accra. The choir released its maiden album dubbed, ‘Halleluyah’ in December 2007 but has seen little attention. Amidst the challenges with the album, the group was determined to succeed. In June 2018, the Choir released its 2nd album dubbed ‘Akpe’. The ‘Akpe’ Album sought to project praise and worship through a rich blend of 5 languages, 8 different deep roots Ghanaian and foreign music genres, contemporary and African rhythms, hymns, Orchestra, rearrangement of old church choruses, new exciting and deep songs of praise, worship and encouragement. The Akpe Album featured 2017 Vodafone Ghana Music Awards winner, Joe Mettle. The songs enjoyed a lot of radio airplay including morning shows. The phenomenon of the album and the gigs, bagged 3 awards at the just ended 3music Awards namely; Gospel song of the year, Gospel act of the year and group of the year. Further, the choir has received two nominations for the upcoming VGMA; Group of the year & Gospel song of the year. Is this the time to start considering categories for choirs on the biggest music awards scheme? Well, only time will tell and I must say kudos to the Bethel Rival choir for setting the pace.